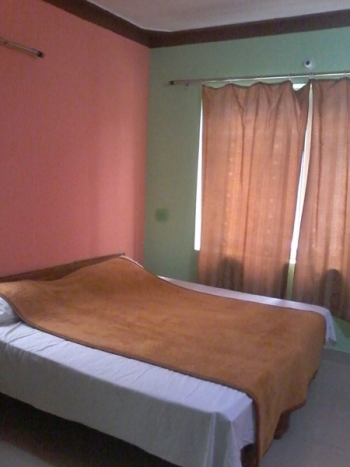 Deeplok Guest House is a budget property near Pipalkoti . The property offers cozy and comfortable stay along with food and parking facility. 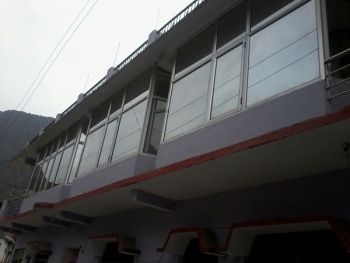 The guest house has best amenities to meet the needs of Chardham pilgrims and tourists. The guest house is located on Badrinath Marg in Angthala (On NH 58), just 2 kms short of Pipalkoti main market. Joshimath is about 35 kms from the guest house. The hotel features 8 spacious and beautifully decorated rooms that come with standard amenities. There are 7 Double Bedrooms and 1 Four Bedroom. The guest house has no restaurant of its own, guest can order food from nearby restaurant through prompt room service. There is kitchen which can be used by guess. -Trek to Tapovan, Auli, Gorso Meadow, Valley of flowers, Kuari Pass. Pipalkoti is a midway town falling on the route to Badrinath via Joshimath. One can reach out there thru Haridwar, Rishikesh & Dehradun. Pipalkoti is well connected by motorable road to Delhi (452 Kms), Dehradun (260 Kms), Rishikesh (220 Kms) and other major towns of the state and region. Jolly Grant Airport is the nearest Airport to Pipalkoti situated at a distance of 230 kms. One can hire a taxi or board a bus from Dehradun or Rishikesh, which are nearby major cities located at 30 kms & 20 kms from the airport. Nearest railway station is at Rishikesh which is 218 Kms from Pipalkoti. Other railway station to reach Pipalkoti is Haridwar (240 Kms).